Brian mainly performs his magic show during the Summer months, but is there year-round. Check https://www.taytocrisps.ie/park/or call the Park on 01 835 1999 to see if the magic shows are on during your visit. Attractions and entertainment in the park can depend on weather, so check beforehand. Once you get there, visit the Outback Marquees, which are like small circus tents, and that’s where the magic shows take place. 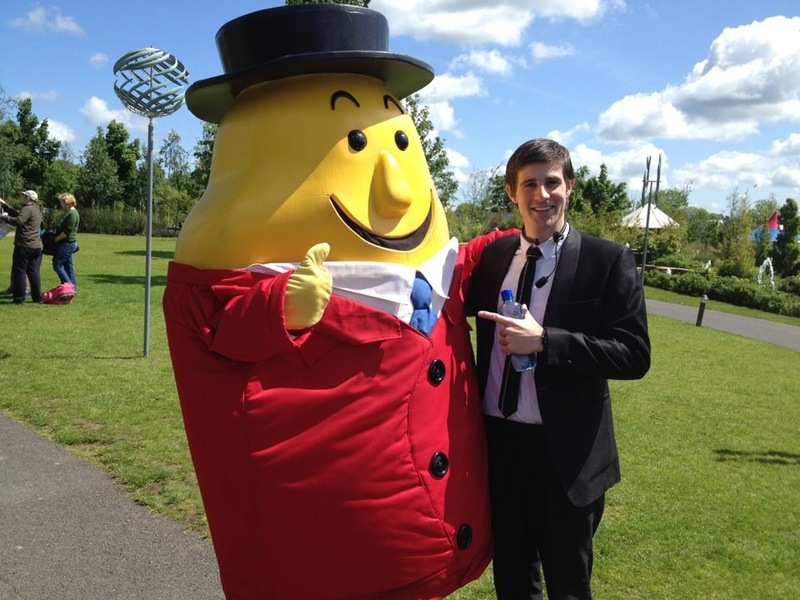 You can see if I’m there on the day by checking foursquare, Brian, the tayto park magician is also is the Mayor! Take the M2, exit 5 which is sign posted Derry/Slane on the M50, to Ashbourne. Once onto the M2 continue to the very end of the motorway until you come to a roundabout take the first exit onto the N2 signposted Slane. Continue on the N2 Slane road for 3.8km and turn left onto the R155 to Curragha (Sign-posted Dunshaughlin/Ratoath). Follow this road and it will bring you to a crossroads. 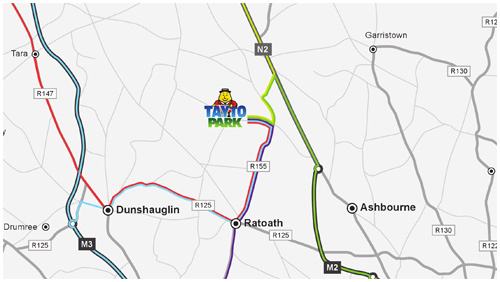 Turn right at the crossroads and you’re just 1 minute from Tayto Park.